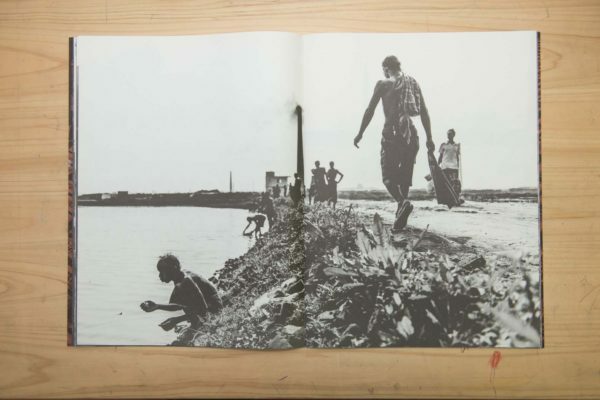 Published by Office Akihito Yoshida, all rights reserved. 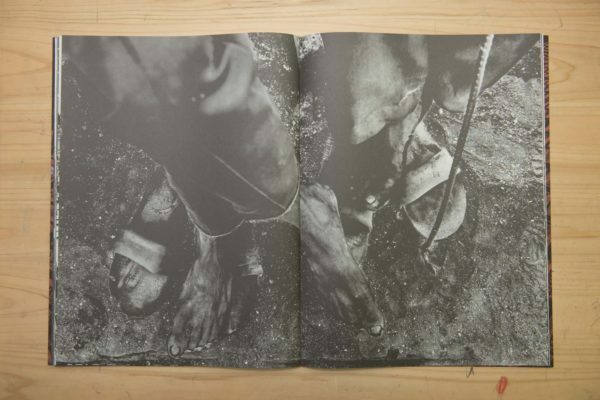 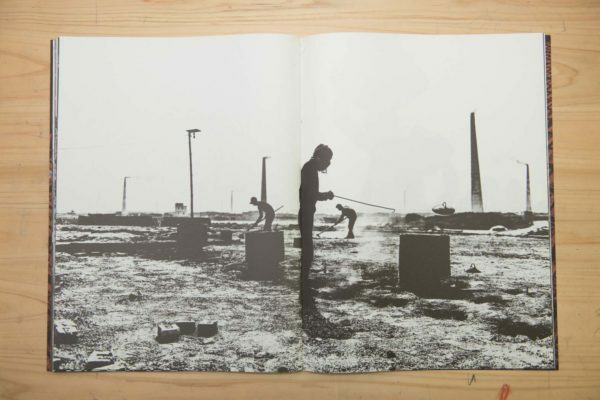 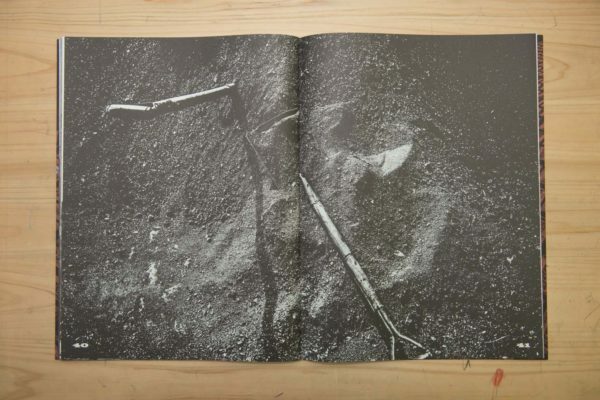 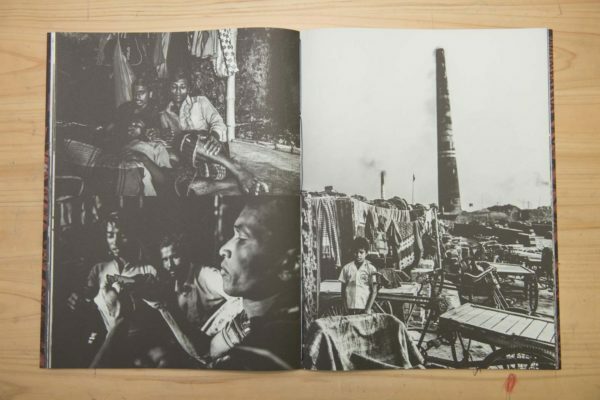 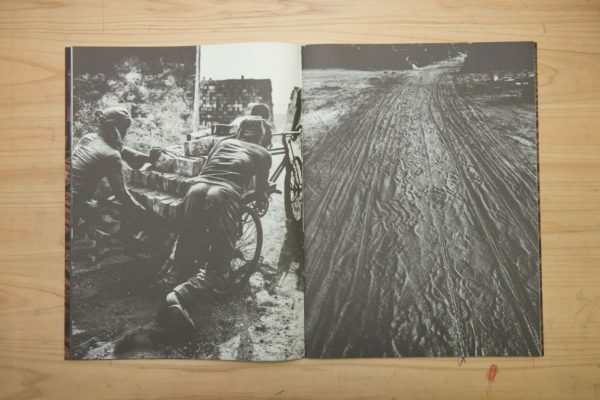 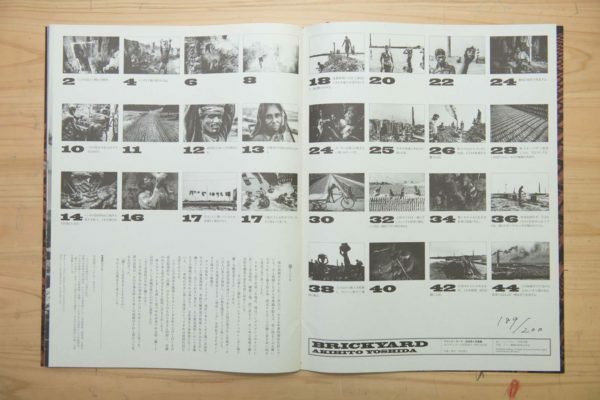 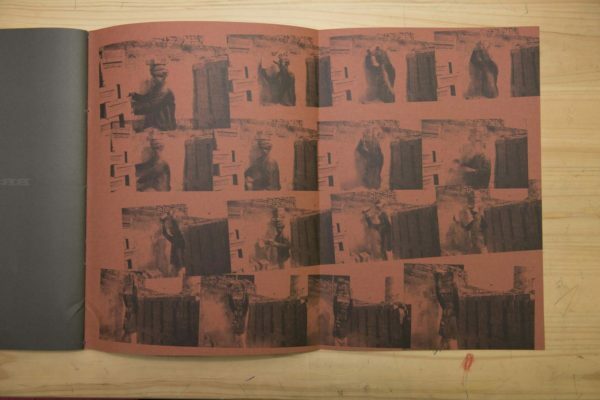 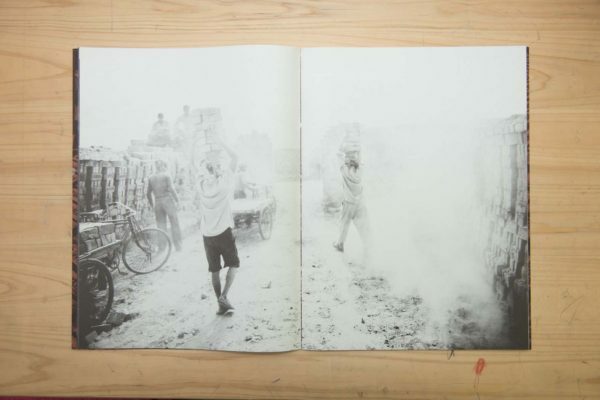 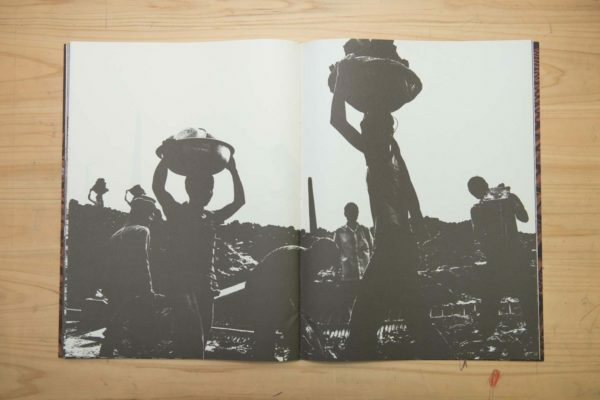 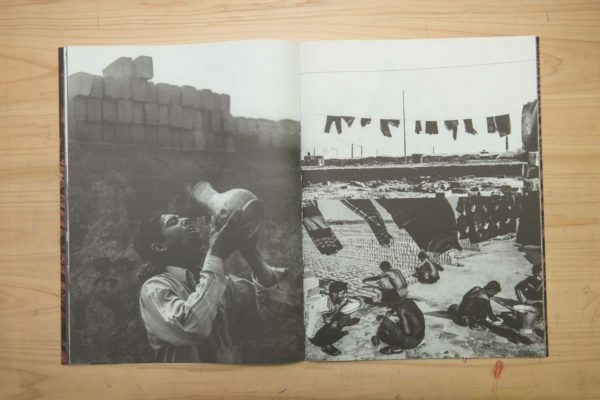 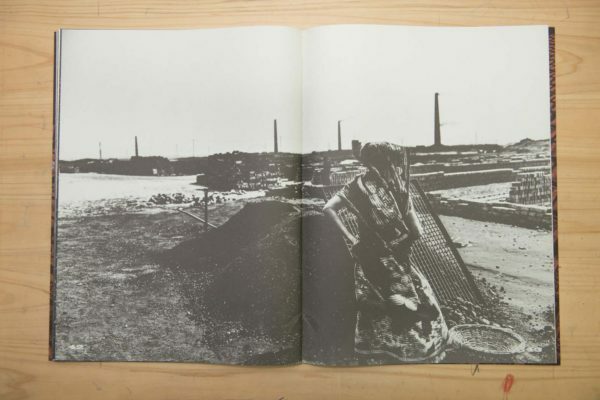 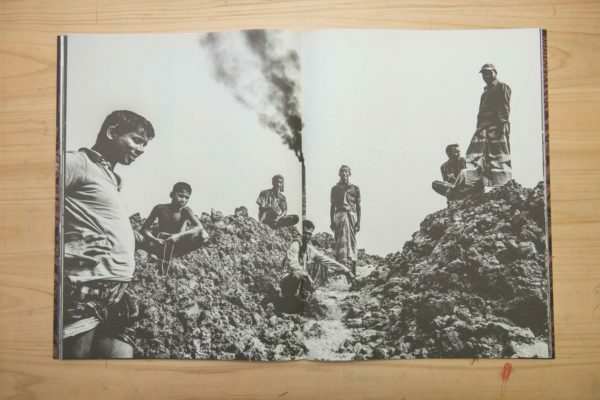 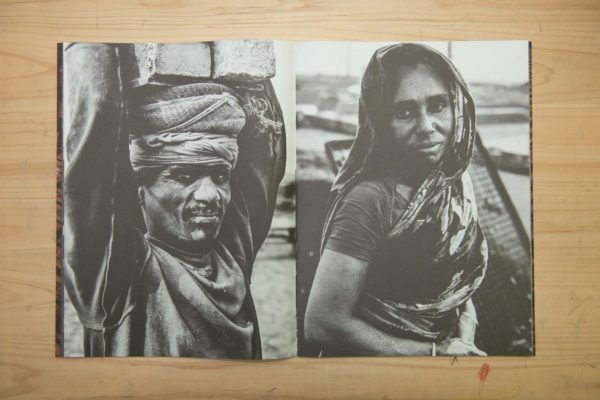 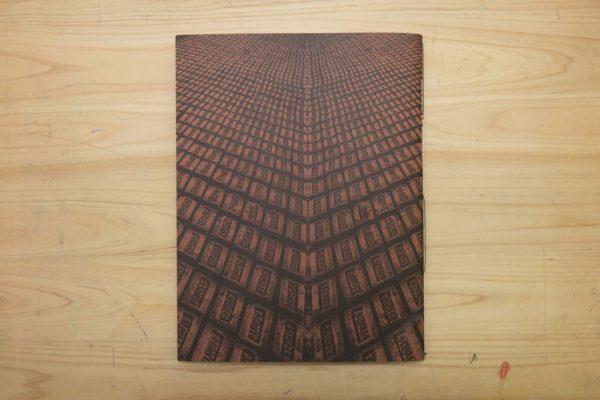 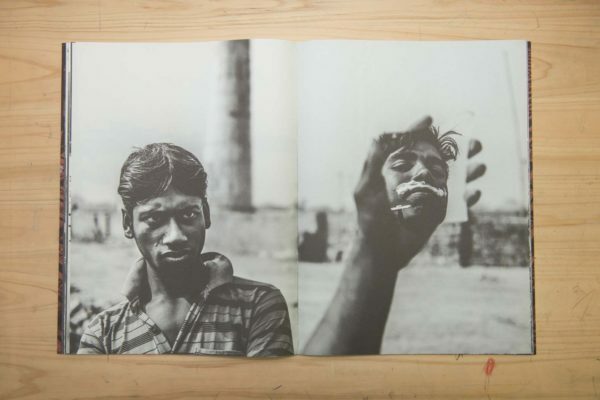 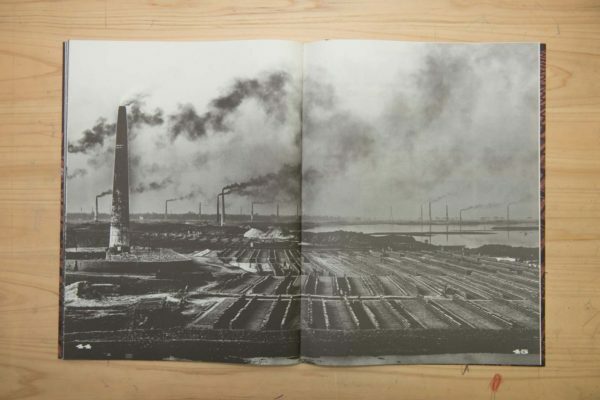 This photobook is an ultimate presentation of a project that focused on the workers of a brickyard in Bangladesh by photographer Akihito Yoshida in 2012. 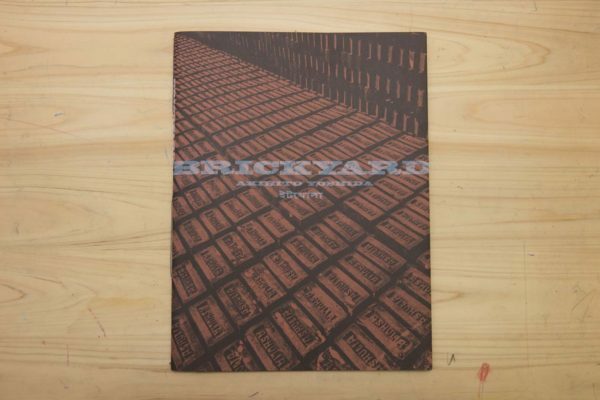 It’s printed on a large format so that the overwhelming scale of the working environment of the brickyard can be conveyed to the viewers. 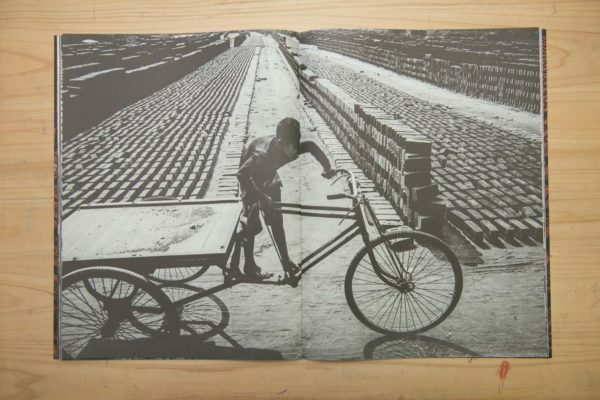 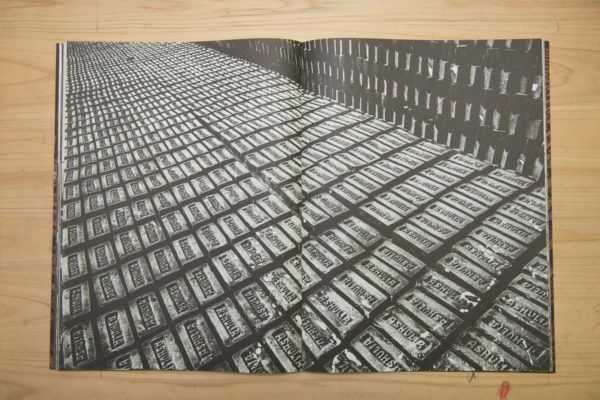 The choice of paper, tabloid, is made in order to transform the texture of the bricks that workers touch everyday there. 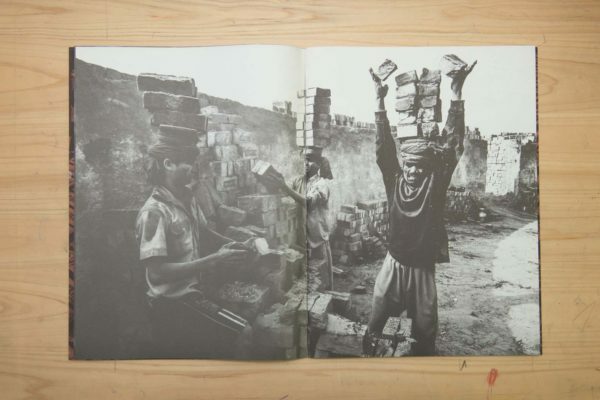 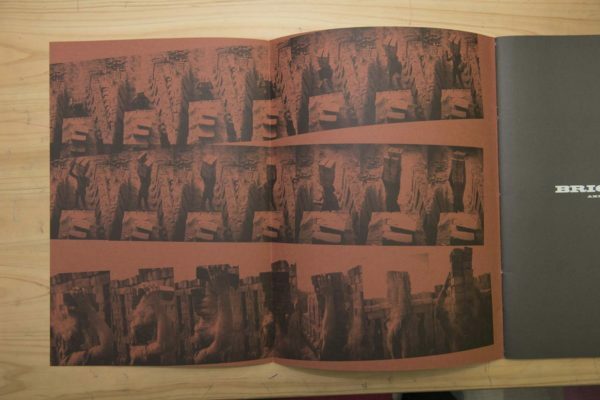 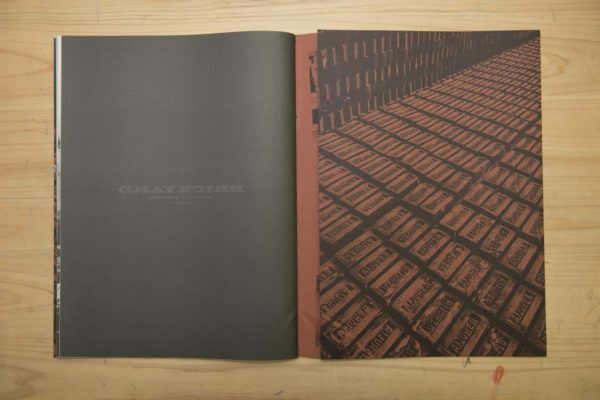 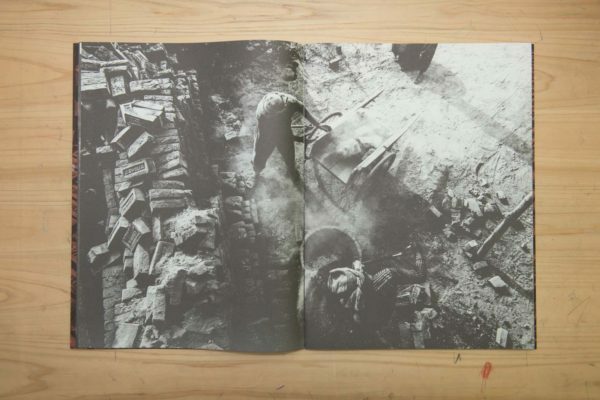 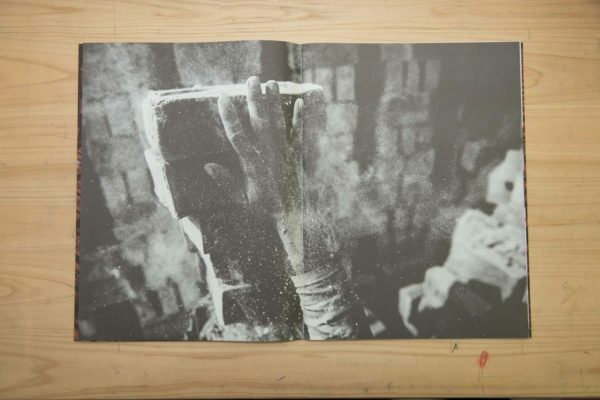 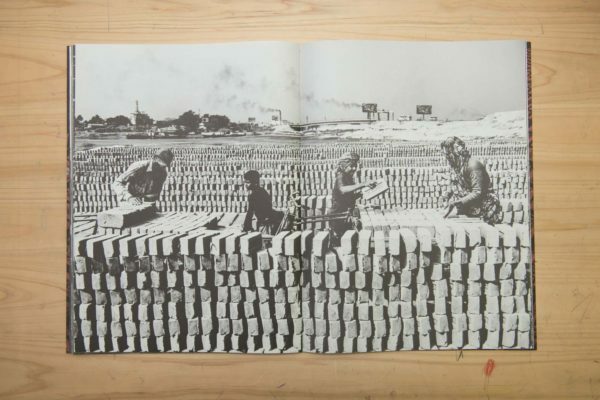 The binding process of the book was done entirely by hands of more than 30 volunteers one by one in order to represent and honor the manual labor of brick making the workers are committed to. 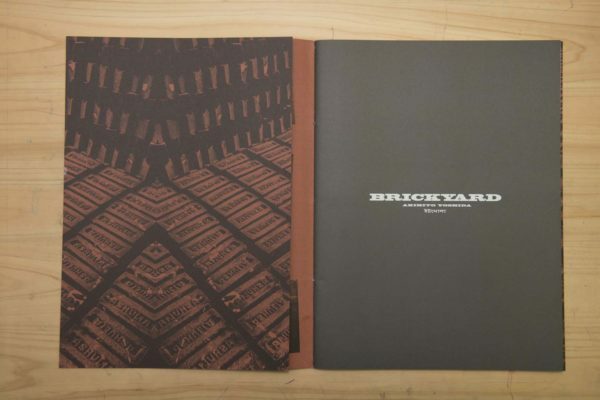 It is my hope that viewers slip into the reality of the environment of the brickyard full of noise and smell as they flip page after page. 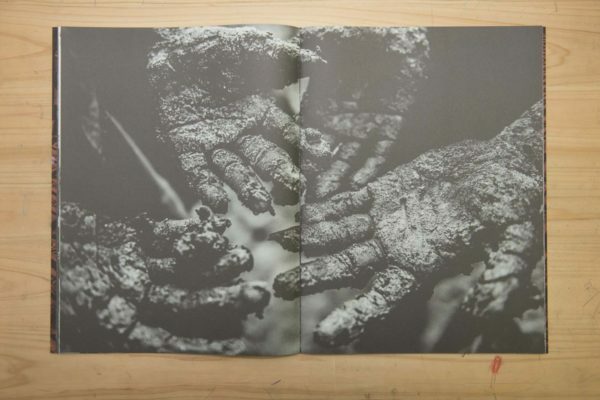 Furthermore, I strongly wish that this photobook would help viewers extend their thoughts on the ever lasting questions of labor and life.